I have had the good fortune to travel not once, but twice, to northern Michigan over the past month. 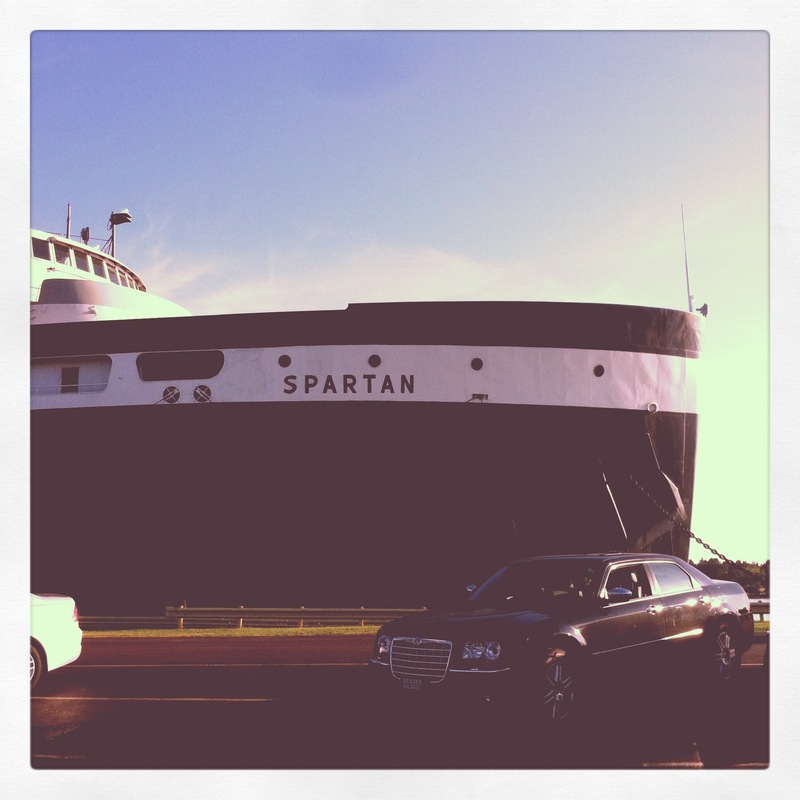 The first time I went I took an ancient ferry across Lake Michigan from Manitowoc, Wisconsin to Ludington, Michigan. It took four hours. 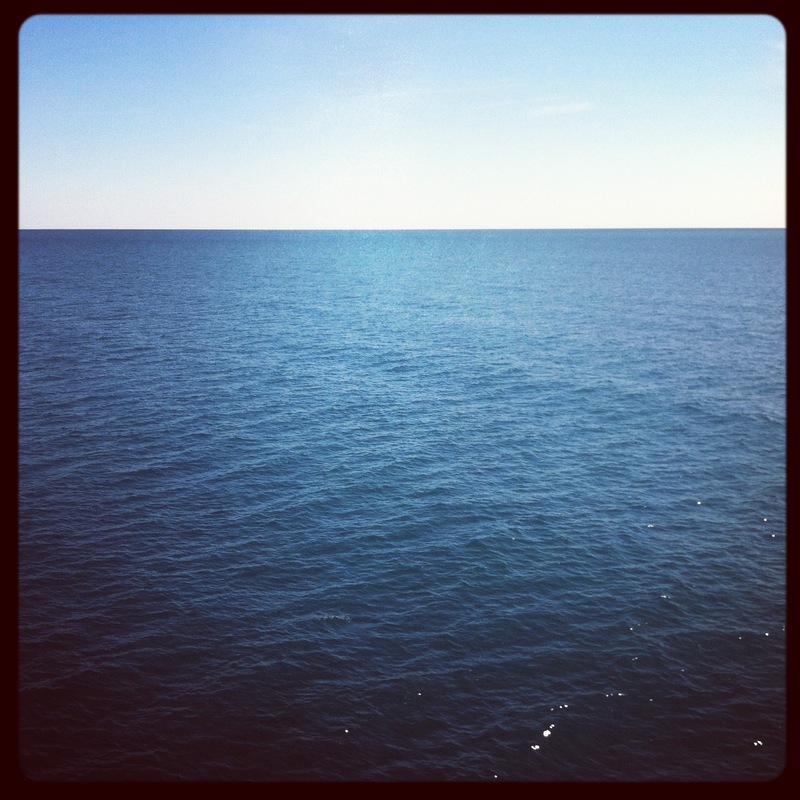 The above picture is what it looks like when you are on that ferry in the middle of the lake and can’t see the shore on either side. It’s a big lake. 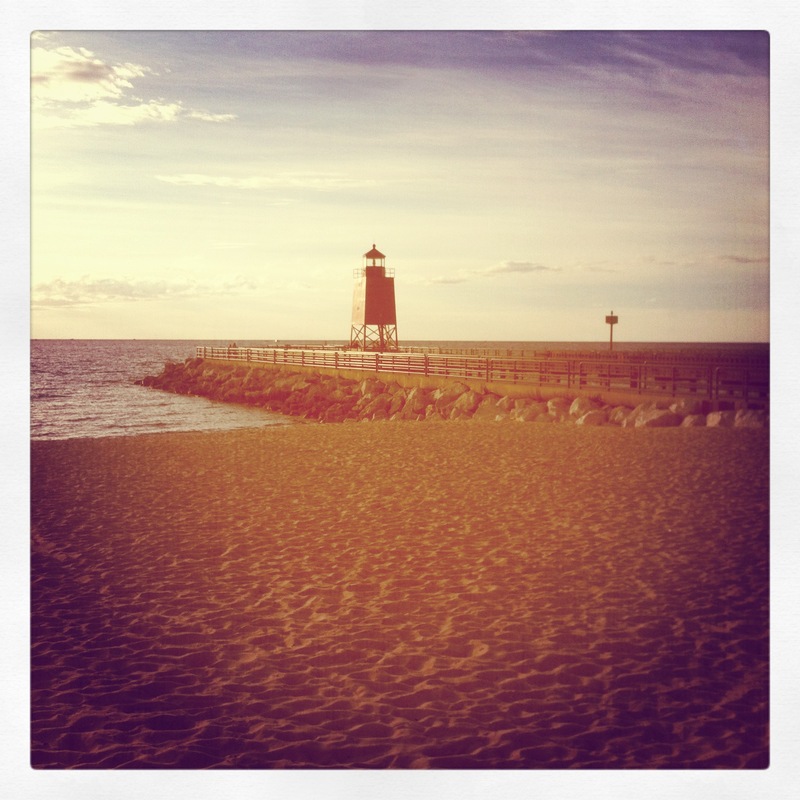 My first trip to northern Michigan was for a family vacation in Charlevoix, which I had never been to previously. Growing up we had visited Traverse City quite a bit and I remember a separate trip to Manistee and a few wintertime jaunts to Crystal Mountain and Garland for skiing but there was quite a lot of territory up yonder that I had heard wonderful things about but hadn’t yet explored for myself. 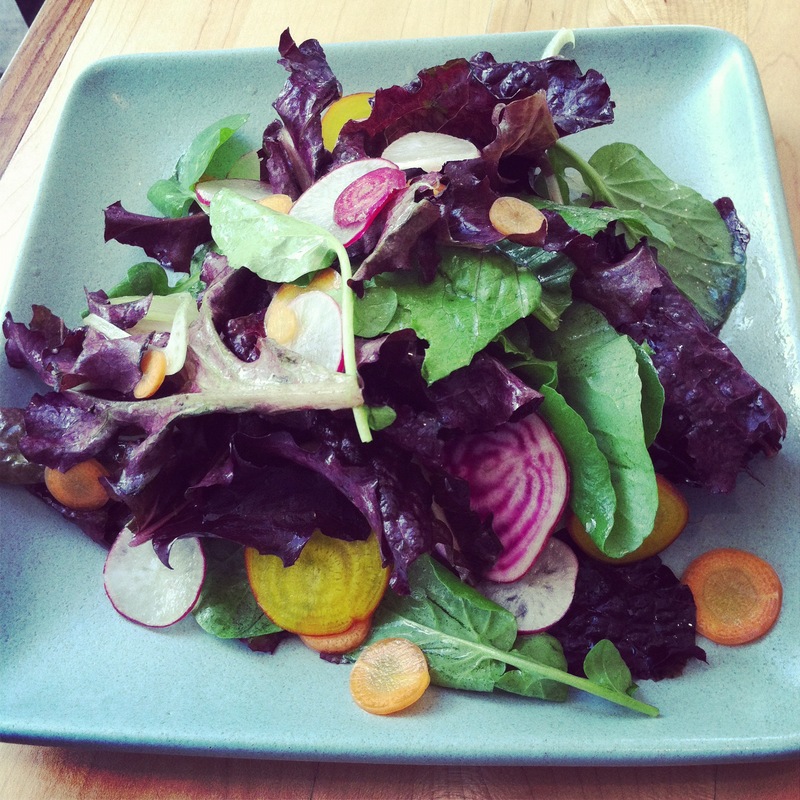 Of course there were many beautiful sights with Lake Michigan and nature and all but this being a food blog and my chief interest being in food you better believe I wanted to spend a good chunk of the vacation exploring that side of things. So that’s just what I did. 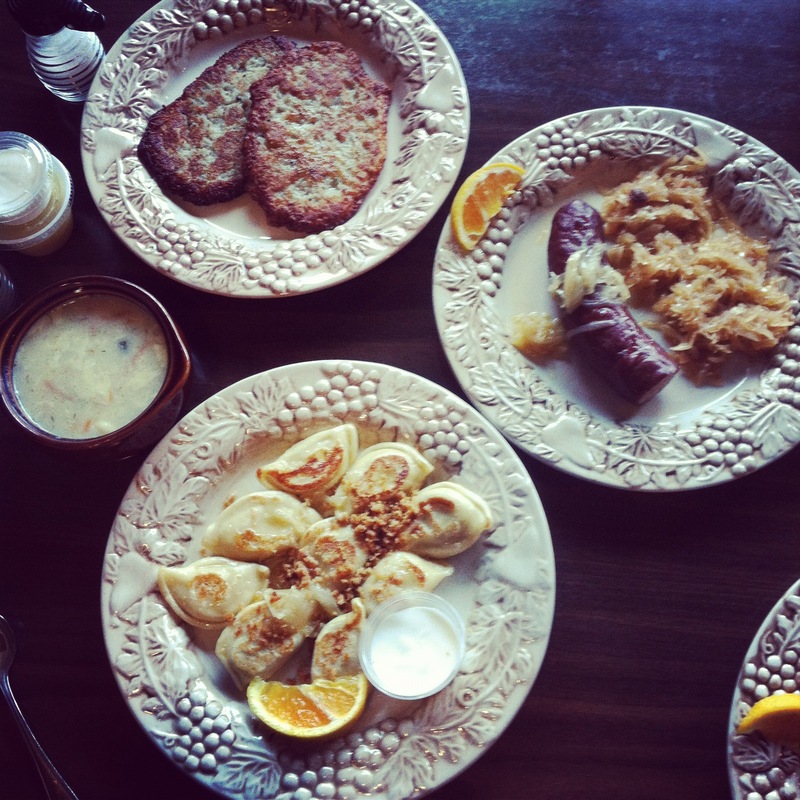 Having lived in both metro Detroit and Brooklyn I’ve learned to love Polish food something fierce (not that it was a difficult feat by any means) so when I spied a restaurant called Polish Kitchen in Harbor Springs I instructed my dining companions that we needed to sup there as soon as possible. None of us were disappointed. I got dill pickle soup, pierogi, and latkes (because you can never have enough potato in your diet) and all were wonderful. It reminded me of meals enjoyed at Polish Village in Hamtramck minus the low ceilings and two-man polka band. 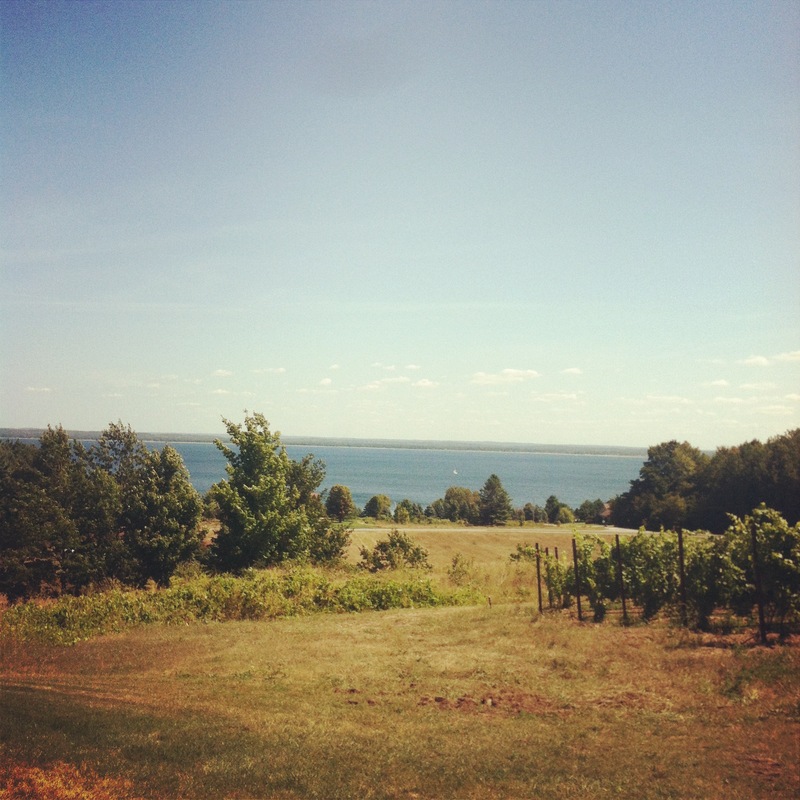 A day was spent wine-tasting on the Mission Peninsula just north of Traverse City. My companions and I tasted wine at no less than five places which is relatively easy since the peninsula is quite small and the wineries are all close together. We visited, in order: 2 Lads (beautiful modern building and lovely views), Chateau Chantal (always a classic– I bought half a case of wine here that I have been rationing out since I returned), Peninsula Cellars (their tasting room is in an old one-room schoolhouse which gave it a cool vibe, also loved their staff who we played movie trivia games with while sampling their wines), Black Star Farms (beautiful property and loved the giant round bar which meant you didn’t have to elbow your way up for a taste), and finally Bowers Harbor (lovely outdoor seating and intimate tasting area). In addition to the wineries we also stopped at Jolly Pumpkin so that my brother could sample a few of their beers. If we had planned it right we would have stayed on the premises to dine at Mission Table which is said to have outstanding food. Next time. In addition to Jolly Pumpkin we also visited Short’s Brewing Company in Bellaire for dinner another night. Not only was the beer outstanding, the food was very good too. I had a bowl of carrot ginger soup and split pizza with my mom. Well worth the drive to Bellaire from nearby resort towns. My second trip to the area was just last weekend for the wedding of my oldest friend. (Is that the way to phrase that? It makes it sound like she’s 102 but really we’re the same age and have been friends since we were three and used to carpool to Miss Janie’s pre-school together. Those were the days.) For this trip I opted to go the northern route and drove from Wisconsin through the upper peninsula of Michigan. 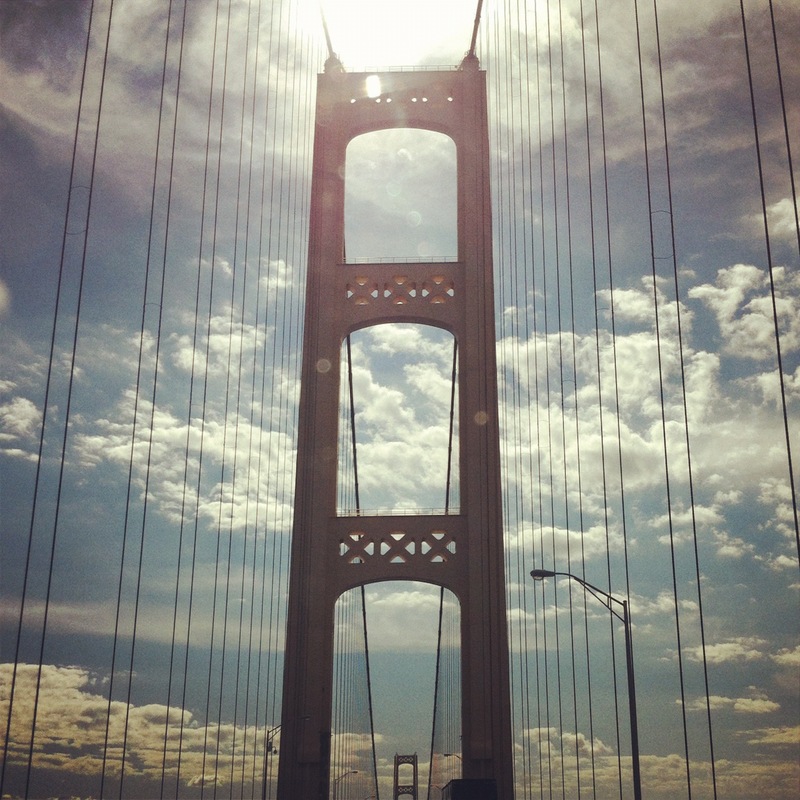 Hadn’t passed over the Mackinac Bridge in about ten years. It looks the same of course, and still makes me nervous to drive in the center lane which is all grates open to the lake below. No thanks, I’ll stick to the outer paved lane with the trucks and old folks. Upon arriving in my destination of Petoskey I grabbed lunch at American Spoon Cafe which I had somehow missed on my first visit to the area. The atmosphere is cozy and classic at the same time and the food was awesome. 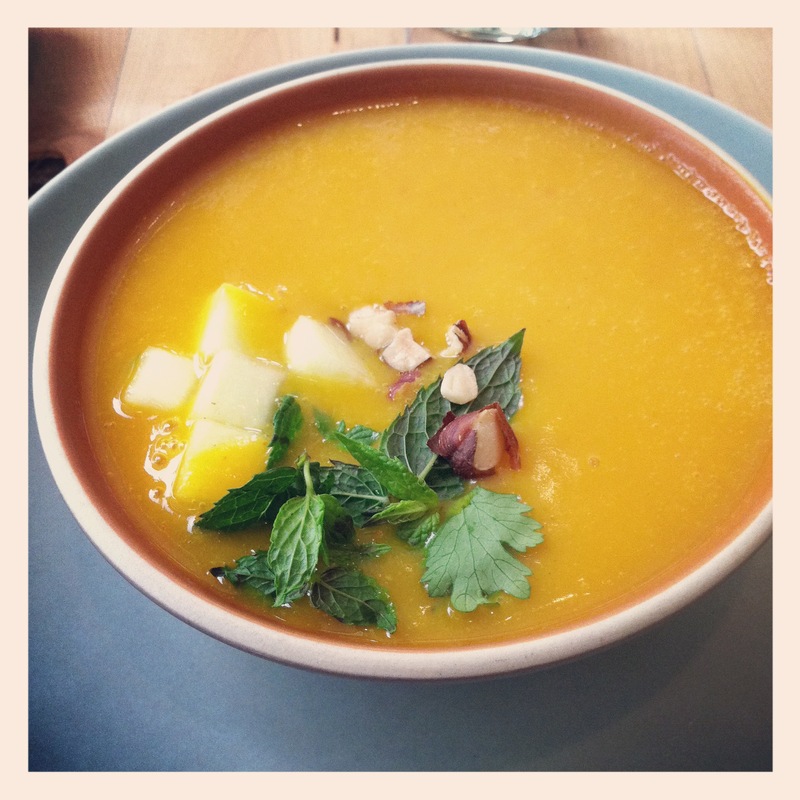 I had butternut squash soup (if you haven’t noticed, I’m really into squash soup) and a root vegetable salad. I had a little time to kill before the rehearsal dinner so I popped into local natural foods grocery store Grain Train because I heard a rumor they sold Light of Day Organics tea in bulk and that rumor was true. A lovely gentlemen working in the bulk section helped me bag up three different kinds of their tea and I was on my way. 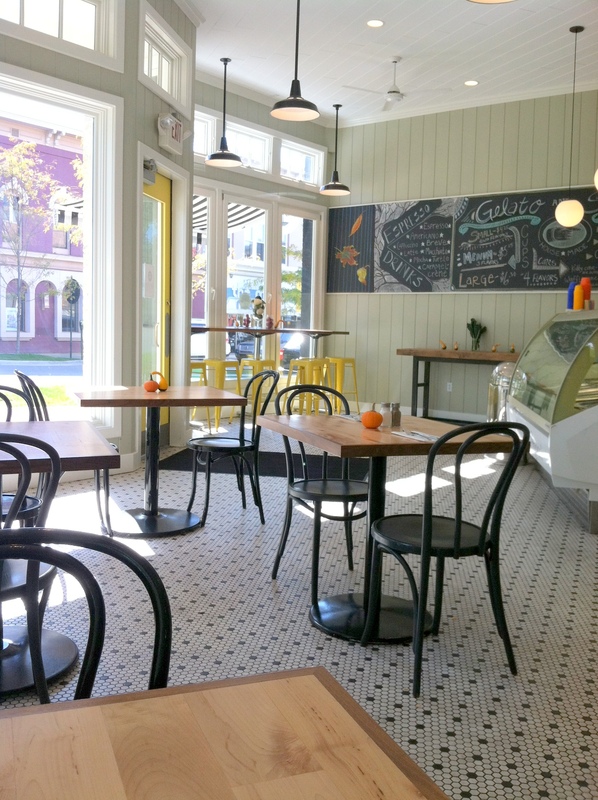 Light of Day has a farm in the Traverse City area that I plan to visit when next I’m in the area because they are starting to turn me into a tea snob and I would love to see their operation up close. I used to be fine with regular old bagged tea from wherever and now it’s just not tasting as good to me… Funny how that works. 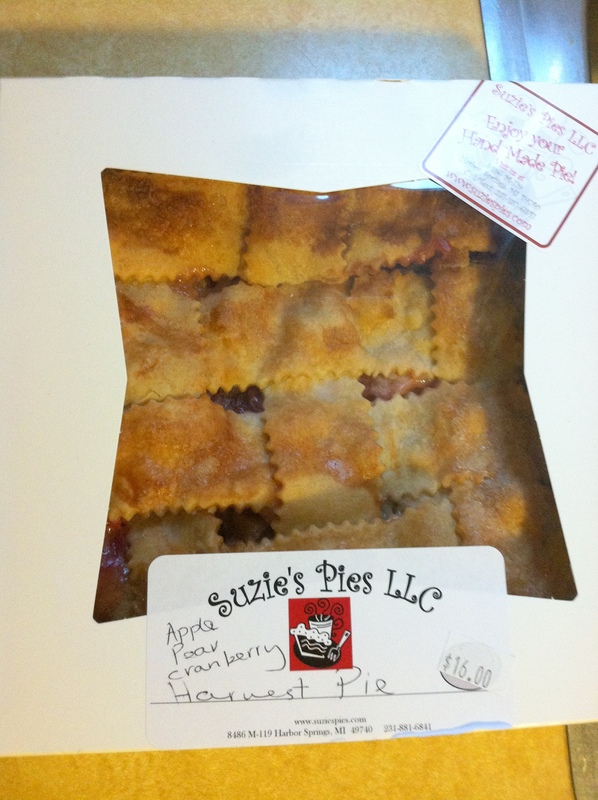 I also managed to sneak in a quick trip to Suzie’s Pies in Harbor Springs (which is located at the other end of the strip mall from Polish Kitchen though had not realized that when I was there a month earlier) to purchase a “Harvest” pie with apples, pears, and cranberries. Suzie herself helped me and she could not be sweeter and the pie was awesome. I also sampled a piece of her Canadian Butter Tart which was equally as delicious. 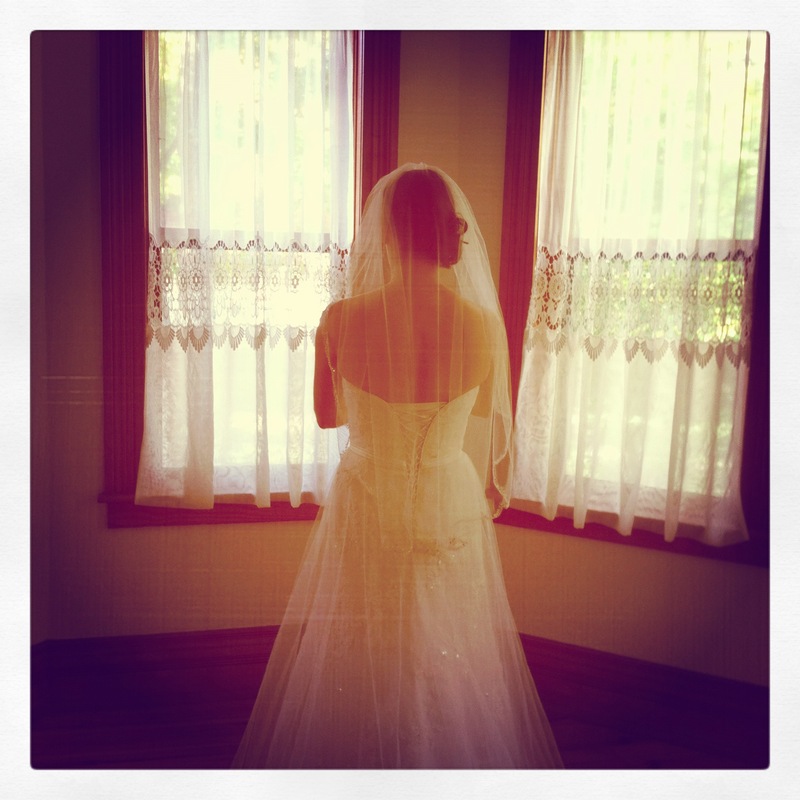 The rest of the weekend was lovely and filled with various wedding activities. 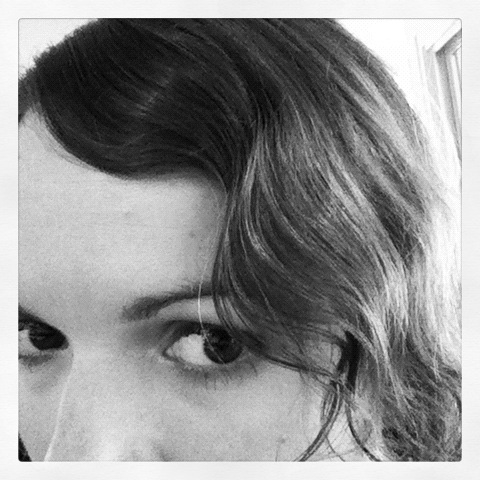 I put my hair in a fingerwave for the occasion. And the drive home was gorgeous. Pure Michigan. Can’t wait to go back! Pure Michigander. I remember these up north towns, but the food? It was smoked white fish, pasties, and fresh still warm from the oven bread with fresh from the dairy butter whenever our family hit up north for our family vacation. Petosky was a favored town, Mission Point, then also St. Ignace, Seney, and further north …Tequamenon Falls, agate beach, and, my fav….Lake Superior shoreline. Great pics and narrative. Can’t wait til you come back to northern MI. Great entry. Thoroughly enjoyed this travelogue! 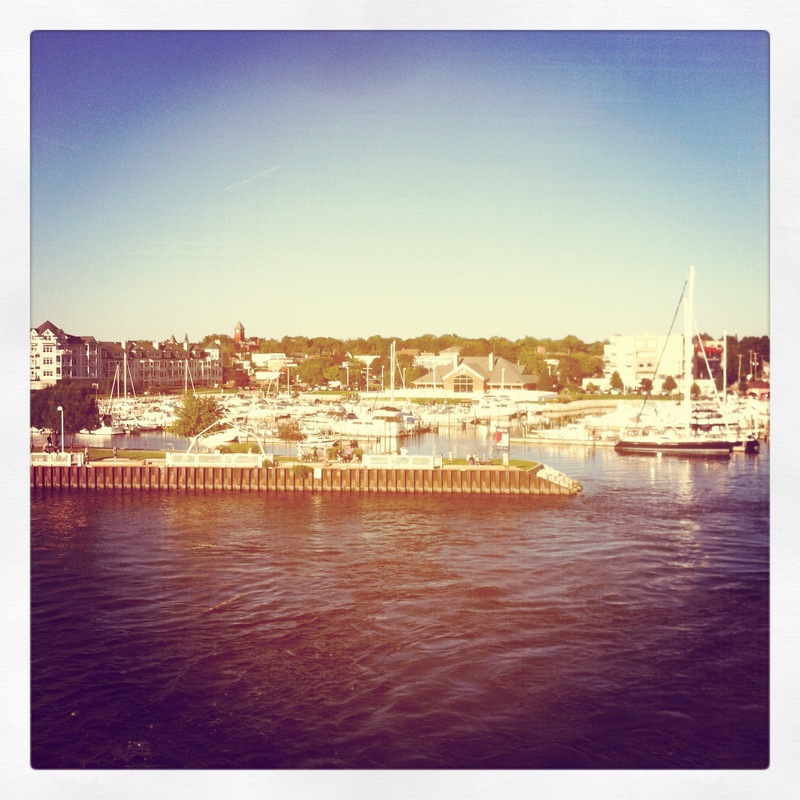 I loved this blog:) You covered a lot of territory and it brought back memories of summer and northern Michigan. Just finding your blog! Thanks for the compliment! 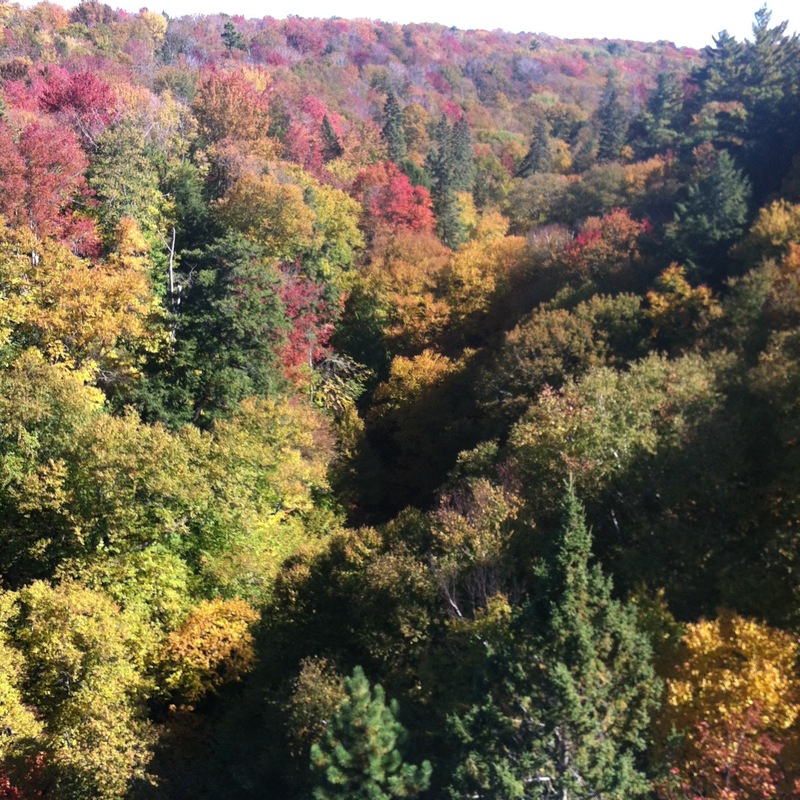 Very nice pictures of Northern Michigan! Thank you! I love your pie!